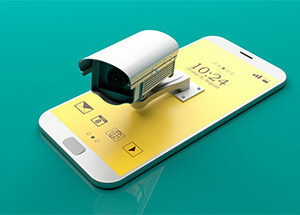 Twice as many consumers are plan on purchasing a stand-alone security product rather than a professionally monitored system. Recent security research from Parks Associates shows that 16% of US broadband households plan on buying a security smart home product in the next 12 months. Smart home security products include video door bells, cameras, or door locks. These products address consumers core desire to feel safe and secure in their homes. In fact, only 28% of those who plan on purchasing a security related smart home device plan to subscribe to professional monitoring. This could be in part due to device costs, monthly fees, and contracts. Parks identified device cost as a major reason why consumers haven’t considered buying additional devices. 61% of those planning on buying a smart security product would prefer to finance their purchase. 67% of those planning on purchasing a security system want video alerts when someone approaches their home. Only 8% of those with the intent to purchase one of these devices want a security system with no add-on products. Consumers pay an average of $8.91 for interactive services and $15.51 for home controls.